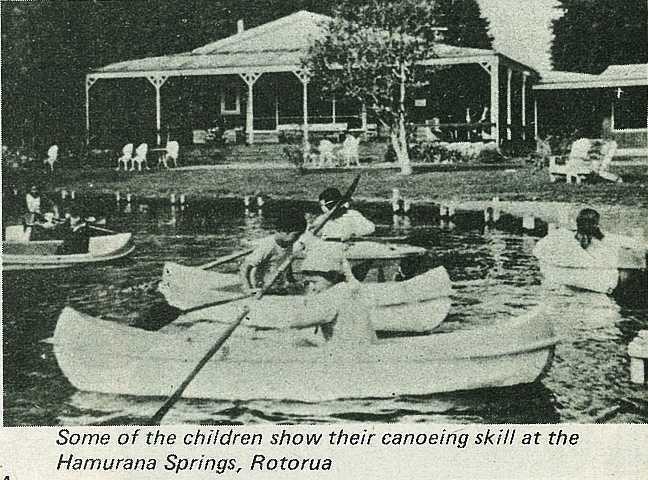 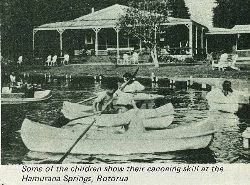 Thirteen pupils from the Mata School (which is on Huiarua Station, at the back of Tokomaru Bay), accompanied by six adults, enjoyed a week-long educational trip during the last school holidays. 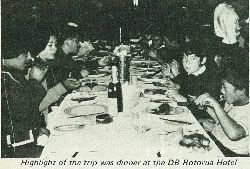 The group took in Hawkes Bay, the Chateau Tongariro and Rotorua. 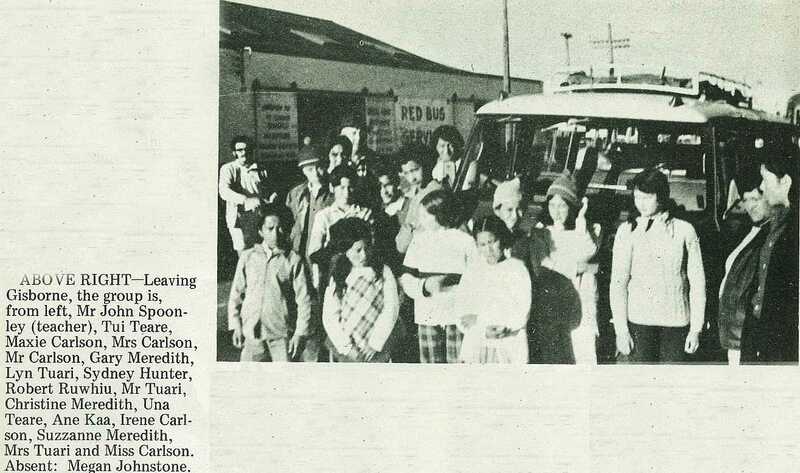 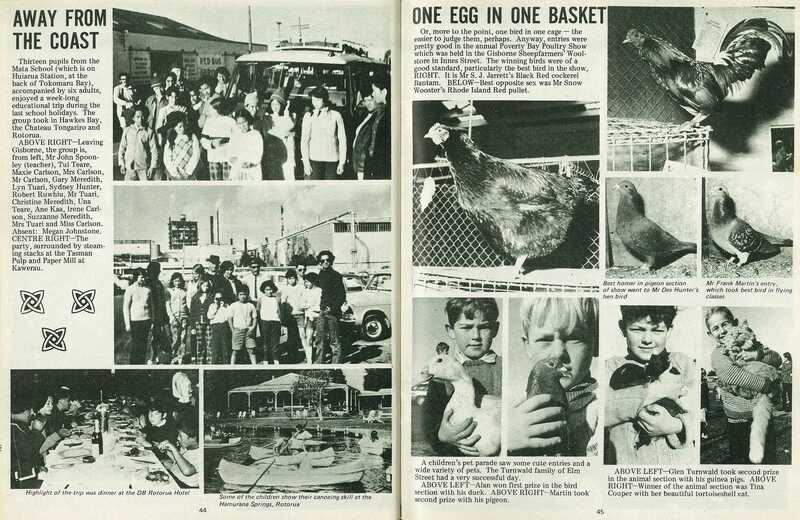 Leaving Gisborne, the group is, from left, Mr John Spoon-ley (teacher), Tui Teare, Maxie Carlson, Mrs Carlson, Mr Carlson, Gary Meredith, Lyn Tuari, Sydney Hunter, Robert Ruwhiu, Mr Tuari, Christine Meredith, Una Teare, Ane Kaa, Irene Carlson, Suzzanne Meredith, Mrs Tuari and Miss Carlson. Absent: Megan Johnstone. 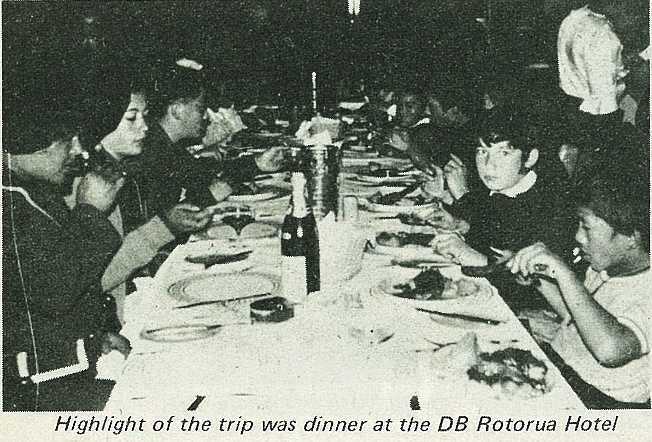 The party, surrounded by steaming stacks at the Tasman Pulp and Paper Mill at Kawerau.